Premium seating options in the Paul W. Brechler Press Box in historic Kinnick Stadium, home of the Hawkeye football team, include a collection of private viewing suites on level one in the McCord Club and the Sandy Buresh Suite Level on level three. There are also indoor club seats on level one in the McCord Club, and outdoor club seats on level two in the Mediacom Outdoor Club. Premium Seating options in Carver Hawkeye-Arena includes seats located courtside and club seats located on the sideline of the playing floor. 550 Seats exist for men's basketball for a campaign contribution of $2,500* per seat, per season. In addition, admission to the Feller Club Room and preferred parking is included. *Contribution is in addition to the season ticket. 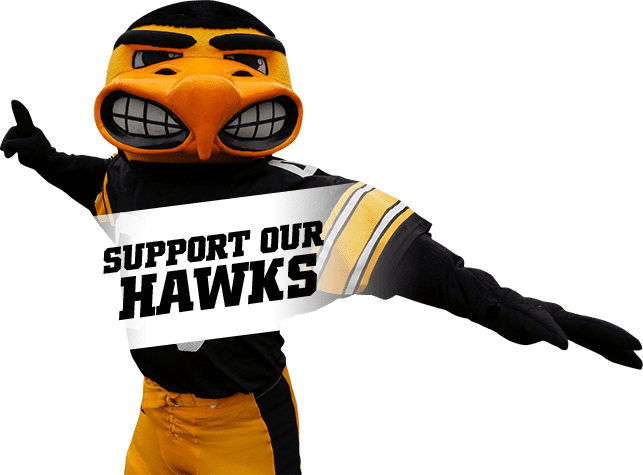 Premium Seating options in Carver-Hawkeye Arena, home to Hawkeye Women’s Basketball, includes seats located courtside and club seats located on the sideline of the playing floor. Premium seating options in Carver-Hawkeye Arena, home to Hawkeye Wrestling, includes seats located on the end of the wrestling mats.